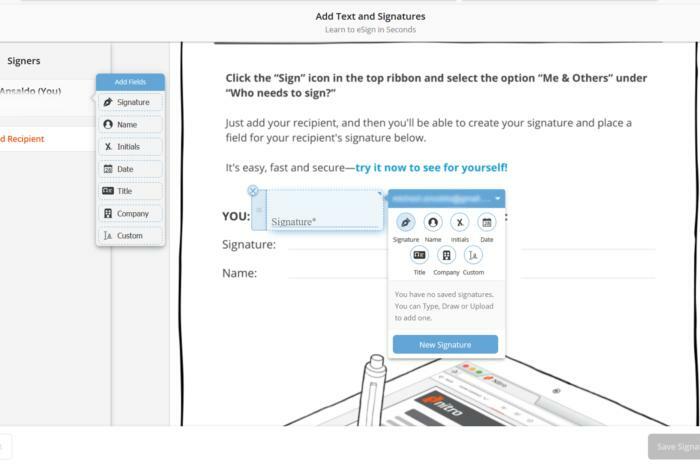 With full Nitro Cloud integration, Nitro Pro makes it easier to prepare PDFs and get them signed. The features that make Nitro Pro beloved by individuals and businesses alike are all still here. You get a complete set of content editing tools; review and markup features for efficient collaboration; form fill and signing capability; and multiple security options for sensitive documents including permissions, password protection, and data redaction. All of these must-have features are intuitively organized in a Microsoft Office-style ribbon interface that groups them into task-based tabs. Creating and converting PDFs is easily the most popular use for PDF editors, and Nitro Pro has long excelled at both: It can create PDFs from over 300 different file formats, as well as export them to Word, Excel, and PowerPoint files. Nitro Pro 12 users can sign documents directly in Nitro Cloud using drag-and-drop fields. Where Nitro saw the biggest opportunity for improvement was around signatures—the company found that more than 50 percent of paper usage was tied to users printing a document to sign it. To address this, version 12 of Nitro Pro is now fully integrated with Nitro Cloud, making it easier than ever to create a document, share it, and get it signed. With a simple click of the “request signature” button on the home tab, for example, you can send a prepared document with a personal message to a colleague. The recipient can then open and sign the document right in Nitro Cloud, even if they don’t have an account, using a selection of drag-and-drop fields, including the date and their signature or initials and job title. Other productivity features have also been ported to Nitro Cloud, allowing users to perform tasks in the browser they could previously only do in the desktop program, including common functions like combing and organizing documents. As a whole, document workflows just feel simpler and more seamless. Other enhancements—document conversion improvements, more advanced digital signature functionality, better searching—feel less dramatic, but undoubtedly improve productivity. Nitro Productivity Suite includes analytics to help enterprise businesses optimize digital workflows. You can purchase Nitro Productivity Suite—a perpetual license of Nitro Pro 12, plus a one-year subscription to Nitro Cloud—online for $159. You can add Nitro VIP Access, an annual subscription that includes unlimited product updates and premium support, for $49.99 at time of purchase. Businesses subscriptions are available for customers purchasing 11 or more licenses but must be purchased through the Nitro sales team. With its tighter ties to Nitro Cloud, Nitro Pro 12 feels like more of a legit challenger to Adobe Acrobat DC than any previous version. If you’re shopping around for an Acrobat replacement, start here.